The management of Yaba College Of Technology (YABATECH) wishes to inform all applicants for change of course, B.SC (ED), 100 Level Programme (YABATECH, NSUKKA AFFILIATE) for 2016/2017. 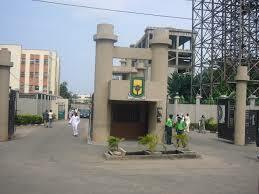 Joint Admission And Matriculation Board (JAMB) directed that for you to be offered admission, you are required to visit http://www.jamb.org.ng and select the YABATECH as your First Choice and Change the Course as indicated above, if (applicable). The amount for Change of Choice is N2, 500.00 which is to be paid on JAMB Website. Deadline for the JAMB Online Change of Institution/Course (if applicable) is Wednesday November 30th, 2016 by 6:00am. You will no longer be considered for admission if you fail to make the payment and change your institution/course on JAMB website on or before the deadline. Please note that this process is meant for candidates who have confirmed their admission on the College Website.